This review has been a long time coming, primarily because I have been too busy enjoying this bourbon to write about it! Ridgemont Reserve 1792 (whose name, by the way, commemorates the year that Kentucky became a state) is a beautifully crafted bourbon in an equally beautiful bottle. Ridgemont Reserve 1792 bourbon is produced by Bardstown Distillery, which sits at the site of the old Tom Moore Distillery. Tom Moore chose the location himself for its proximity to a spring that gushed high-quality limestone water perfect for making bourbon. Today, water from that same limestone spring is used to bring barrels of 1792 bourbon to proof. If you noticed some slight similarities between Ridgemont Reserve 1792 and Very Old Barton, give yourself a gold star. Both bourbons share the same mash bill, with 1792 being more aggressively aged. 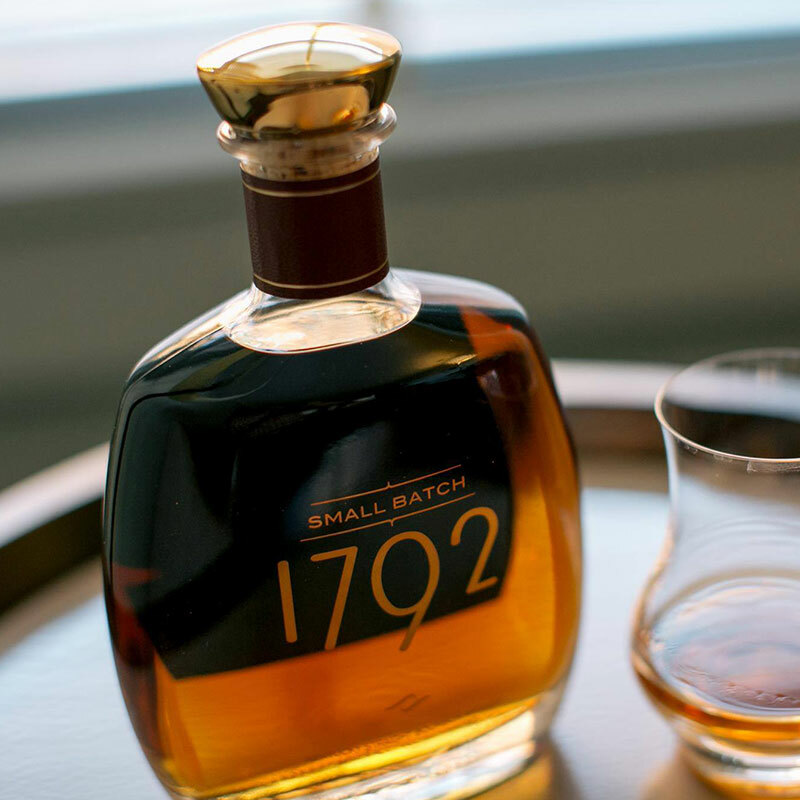 1792 is made from a mash of corn, rye and malted barley, producing a velvety, full bodied bourbon. If you like wheated whiskey, you will love this! I didn’t have a glencairn tasting glass handy when I reviewed this bourbon, but I wish I would have! The nose is full of citrus zest, nice ripe fruit, old wood, and leather. Unfortunately, the nose also possesses some strong ethyl that makes picking these characters up a little difficult. After letting it open up, I got nice caramel that made my mouth water. The first sip is an eye-opener. The rye lets you know its there with a moderate spice kick that combines with the heat in an interesting way. The next thing that most bourbon drinkers notice (and I certainly did) is the texture. Ridgemont Reserve has a velvety like viscosity that coats and hijacks your entire palate. I, for one, find it easier to taste different flavors up front with fuller-bodied bourbons. The barley used in the mash bill likely lends the texture to 1792, while its 8-years spent aging in high rick houses delivers a ton of oak in its flavor and tannic ‘dryness’. This bourbon is true to its nose. All the fruit (citrus, banana, apple) come forward in the middle and back end of the tasting, leaving me with a moderate sweet vanilla finish. Most bourbon drinkers – both new and experienced – will find something they like about Ridgemont Reserve 1792. Its nose, body, taste, and finish all have a character that can become their own conversation pieces. I will say that the oak and rye dominate the character of the bourbon, hiding some of the more nuanced fruit and sweet flavors. All things considered, I would give Ridgemont Reserve 1792 bourbon a B+. Learn our process on how we grade bourbons. Ridgemont Reserve 1792 is priced at about $38 for a fifth (750mL), but I have heard it being had for as little as $19 (!) With prices like that, dont bother ordering a pour at the bar – just grab a bottle. It might be the best buying decision you will make in a while. If you enjoyed this article, keep the conversation going! Leave your own bourbon review in the comments below!